Enough with run-on sentences. The muskrat is small. 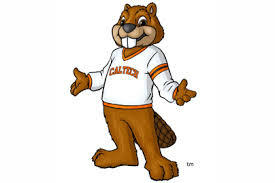 Adults weight about three pounds (compared to 30 or more for a beaver). The muskrat is short-lived. Average lifespan in the wild is 3-4 years. The muskrat is prolific. Females reach sexual maturity at one year, and can have 2-3 litters per year, 6-8 kits per litter. 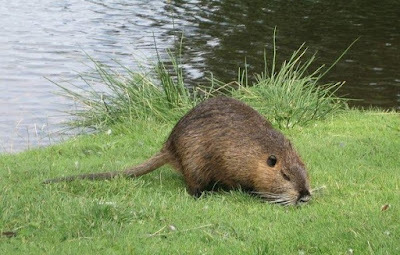 The muskrat is omnivorous. 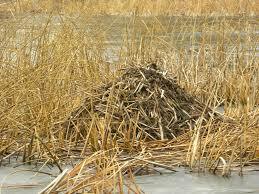 While the roots and stems of aquatic plants are a diet mainstay, muskrats will eat insects, crayfish and dead fish. In turn, the muskrat is food for many predators, falling prey to mink, coyote, fox and raccoons on land, owls descending from the air, lastly snapping turtles, otters and large fish in the water. dive, and stay under water several minutes. 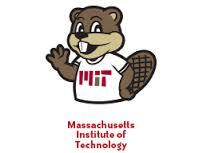 Muskrats are covered with short, thick fur brown or black in color, with the belly a bit lighter. The fur has two layers, which helps protect them from the cold water. The tail is hairless, rat-like in appearance, and used for swimming. The tail drags on the ground when walking on land, and so leaves a distinctive trail when walking on mud or snow. 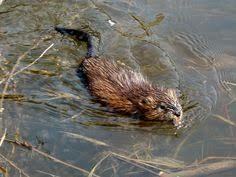 Muskrats spend much of their time in the water, typically the shallow water of marshlands, streams and small ponds. Muskrats will reside at beaver ponds, and may even move into an abandoned beaver lodge. Otherwise, muskrats create modest-sized mounds of soft vegetation (not sticks or branches) near the shore, with a living chamber inside and an underwater entrance, or else burrow into river banks and live in these tunnels. The combination of less vegetation (eaten or for habitat) and shoreline burrowing contributes to erosion and flood risk. as large or as sturdy as a beaver family's branches and mud abode. In Massachusetts, shooting muskrats is against the law, but a license can be obtained for trapping. The season opens on November 1st and closes at the end of February. Muskrat fur does not have the same cachet as mink, but there is some demand for muskrat pelts, especially from Korea and China. Prices at auction are about $3-4/pelt. Wild mink brings about $10-12/pelt. Farmed mink, a larger animal with a higher quality fur, brings $50-80/pelt. The official winter hat of the Royal Canadian Mounted Police is made with muskrat fur.